Motorola Solutions (NYSE:MSI) today announced the launch of the Si200 body-worn camera, the newest addition to the company’s digital evidence ecosystem. The Si200 integrates seamlessly with CommandCentral Vault, the company’s software solution for digital evidence management that enables agencies to efficiently and securely manage content from in-field capture to judicial sharing, in one system. The compact and lightweight Si200 body-worn camera captures high-definition video and features additional advanced capabilities. The importance of an integrated ecosystem for digital evidence management becomes clear when footage from the Si200 is uploaded to CommandCentral Vault. Digital evidence technologies and CommandCentral Vault sync to simplify the process of tagging video, automating redaction, correlating video with incident information in police records and maintaining chain of custody when managing evidence. The complete digital evidence ecosystem enables agencies to securely manage files, connect public safety workflows and analyze digital evidence within one integrated platform. Motorola Solutions’ digital evidence management platform can take in and manage digital evidence from different providers. 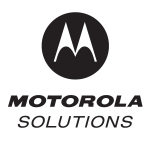 The Si200 body-worn camera and CommandCentral Vault are integral components of Motorola Solutions’ consolidated digital evidence ecosystem, both available now in North America.